Who in school has such a passion for reading that they have to do it anywhere and everywhere? Where is the most extreme place your child has ever read a book? Whether up a tree, on top of a mountain or stood on their head, we want your photos! 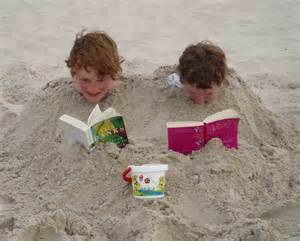 In readiness for Book Week, we challenge you to take a picture of your child reading somewhere extreme. Either send it in in a named envelope or email to Rachel Barnes by Friday 10th November. PRIZES FOR MOST CREATIVE PHOTOS.